After dozens of rained out meets the past two weeks, many teams have diverted to the Bobcat XC Invitational in Marshalltown and the Luther All-American Invitational to get in a race as soon as possible. Below you can see, based on this season's PR's so far, where the top 25 individuals would land as well as team scores using our Virtual Meets generator. It will certainly be a great team battle to see Dowling, Ankeny Centennial, Ankeny, Hempstead, Waukee, and Valley all vying for those top spots. Lead by Tim Sindt, Ankeny will certainly look knock their hometown rival out to get in those top two spots, with Will Ode and Cole Schroeder leading the Maroons do their desired victory. On the girls' side, it looks as though Johnston will assert their dominance on the field, finishing with 39.5 points based on their current season bests. Teams looking to dethrone the Dragons will include Dowling Catholic, who finished well against them at the Ankeny Centennial meet last month, as well as Valley and Waukee. 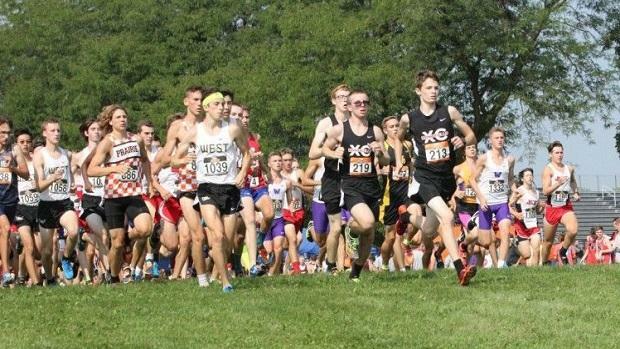 Stay tuned to Iowa MileSplit for race coverage including videos, interviews, and more!